Making a small change to the amount you eat can make a big difference to your health - that's the message behind a campaign aimed at encouraging people to get healthier by eating just a little less. 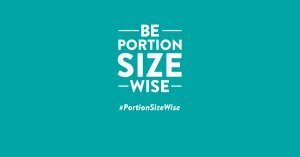 'Be Portion Size Wise', urges us all to think about whether we're putting too much food on our plates. Serving sizes have been gradually increasing over the past decades and lots of us now have 'portion distortion', where we no longer know what makes a normal portion of food. That's why the campaign starts with a very simple message – eating a little less can make a big difference to your health. Get in touch with us either over the phone, email or social media. 081 New Hall Block, Nottingham Trent University, Clifton Lane, Nottingham NG11 8NS.